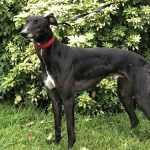 Fizz has been homed – 23/12/18. 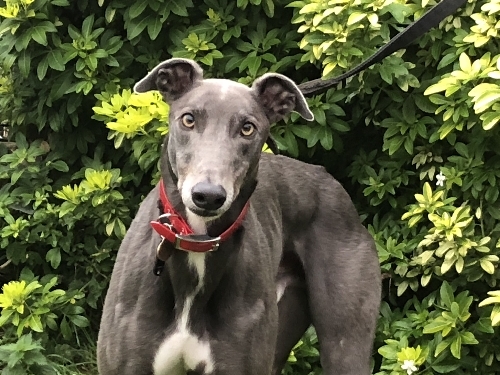 He is a tall, handsome, affectionate and playful blue male. 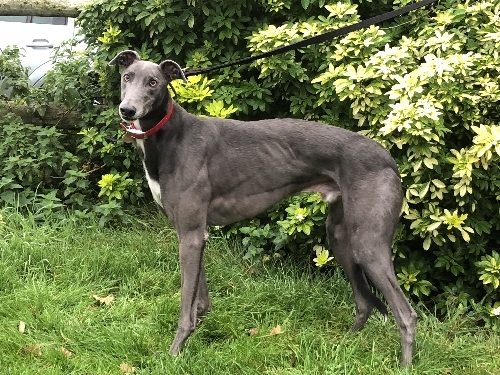 Fizz can walk nicely on a lead, however being new sometimes needs reminding of his manners. He is happy to jump into the car for his outings and settles down quickly ready for the off. 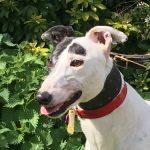 Fizz is a very happy boy who just loves to be around people and know what is going on. He loves to play bow with you and will amuse himself in front of you with his endless bounciness! Fizz is unsure what toys are but we are sure with time he will grow to love them. 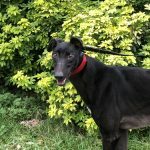 He has met other breeds of dog and with further socialization and careful introductions he will learn to accept them as friends. Fizz would be best suited to a family with children 8 year plus. 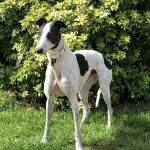 He would be fine to be left for a few hours whilst someone worked or he could be an only dog or a companion to a female greyhound. 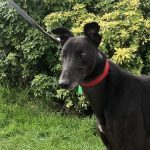 He arrived with us on the 4/10/18 as we get to know him better more information will be available. 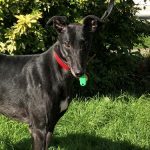 This entry was posted in Greyhounds Homed and tagged Blue, Featured, Friendly, Gentle, Homed by Lucy. Marie and her staff were very welcoming, and offered us plenty of insight in to what we could expect should we decide to home one of these Hounds and felt free to ask any questions. 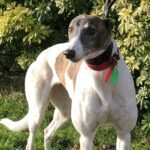 We were both pleasantly surprised to find a Kennels which were well kept and most importantly staff who had a wealth of knowledge about Greyhounds.